Early in the summer I was in Iceland running a couple of workshops. 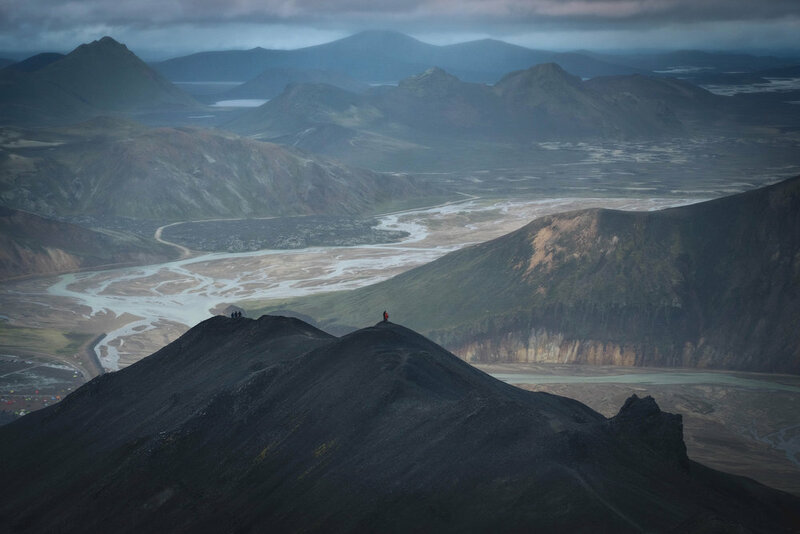 The first was around Iceland’s famous ring-road but the second saw us switch to a modified Land Rover Defender and head into the depths of the Highlands. I’d always wanted to bring a workshop into this part of Iceland as few groups actually come here due to parts of it being quite inaccessible and accommodation limited. There are actually no hotels in the Highlands proper, only campsites and huts, so we chose accommodation right on the edge of the Highlands and drove in to the locations for long shooting sessions that took in the last light of day, sunset, the blue hour and then sunrise. 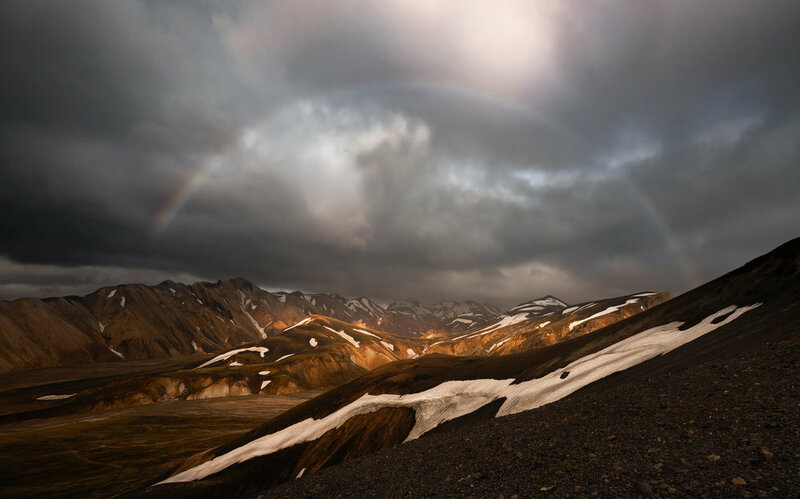 We split the tour into two parts, the first in the southern part of the Highlands and the second in the northern part around Landmannalaugar. 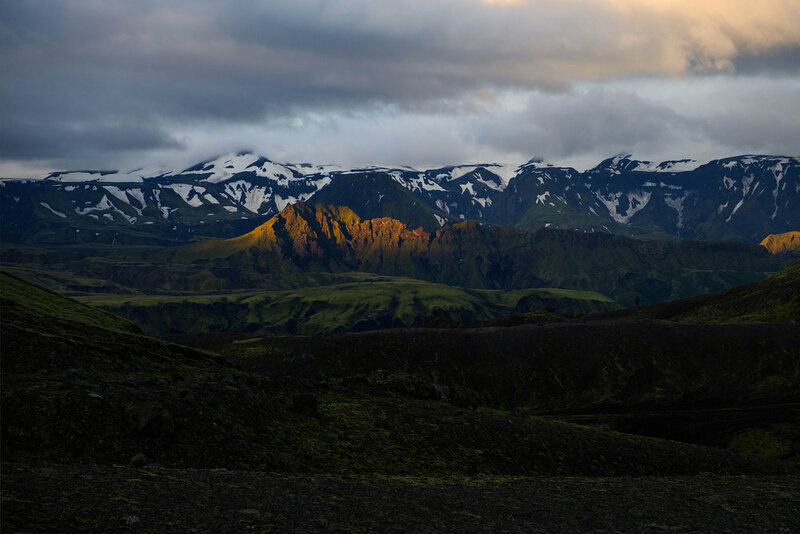 The southern part is the most challenging by far as the distances to get anywhere are huge with a long drive along the Thorsmork river valley, then ascending to the Highlands to shoot in the areas around Emstrur and Maefell in the midst of the black sand desert. We used the Land Rover to explore as much as possible of this huge area, and while we got mostly thick overcast clouds, this kind of weather really enhances the mood of the place. A panorama of the view across the peaks of Tuddi, Útigönguhöftar, Stórkonufell, Litla-Mófell, Stóra-Mófell and the Botnar ridge. The peaks of Hatfell all the way across to the distant Storasula on the right. We spent an hour hiking to this location but unfortunately didn’t have time to go any further. 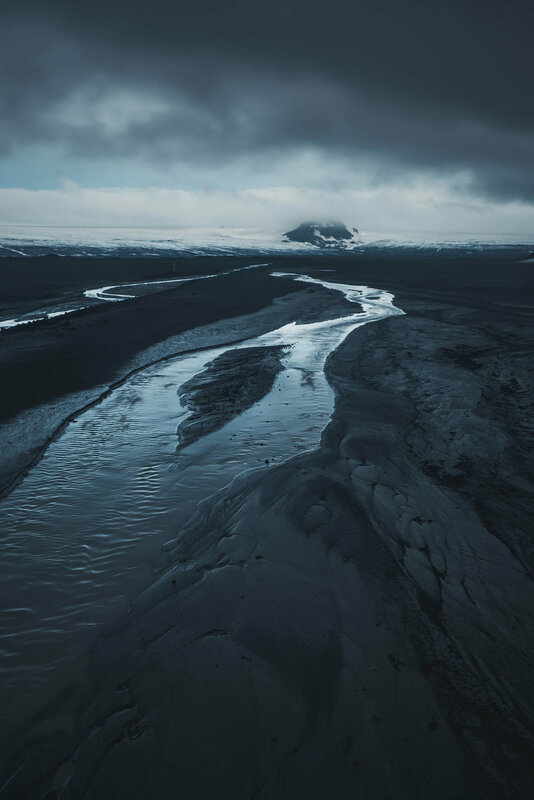 The foot of Maefell mountain on the Maefellsandur, the black sand desert at the foot of the Mýrdalsjökull glacier. 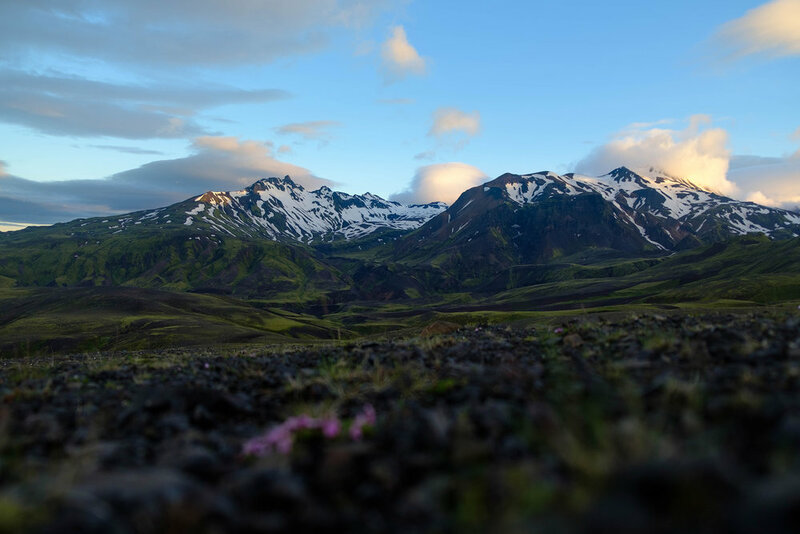 After 3 days in the southern Highlands we headed north to Fjallabak and the area around Landmannalaugar. 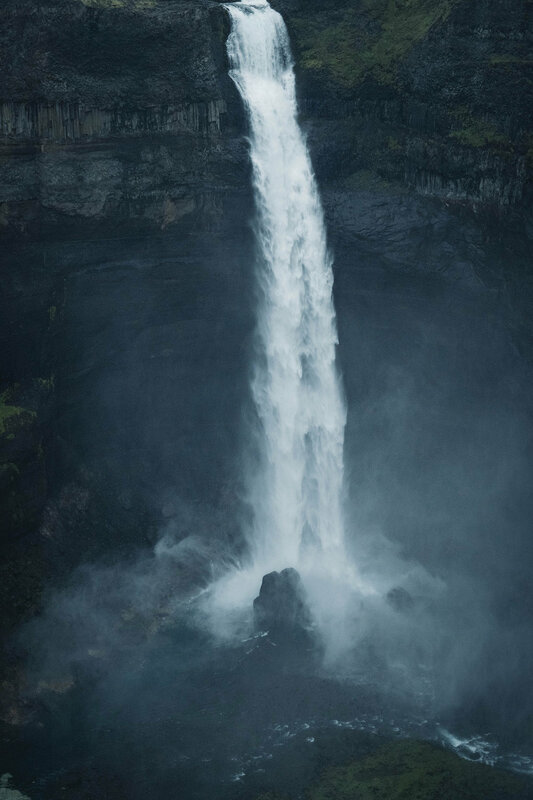 This is one of my favourite parts of Iceland and an area I’ve visited on every trip to the country. I’m always amazed by the valley in Landmannalaugar, the beautiful colours of the rhyolite hills and the patches of snow which create such incredible abstracts. 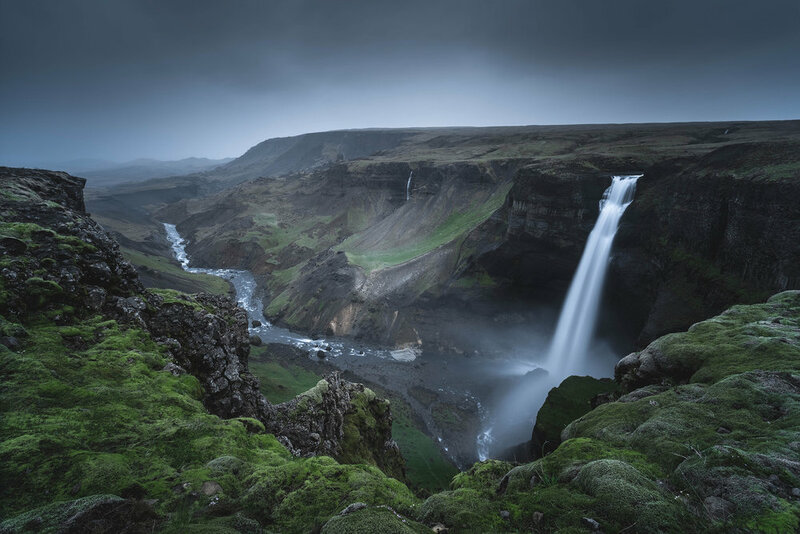 There are also some amazing waterfalls in the area; the towering Haifoss, the cascades at Gjain and the multiple streams flowing into the deep blue water at Sigöldugljufur. The gas station at our hotel base on the edge of the Highlands. 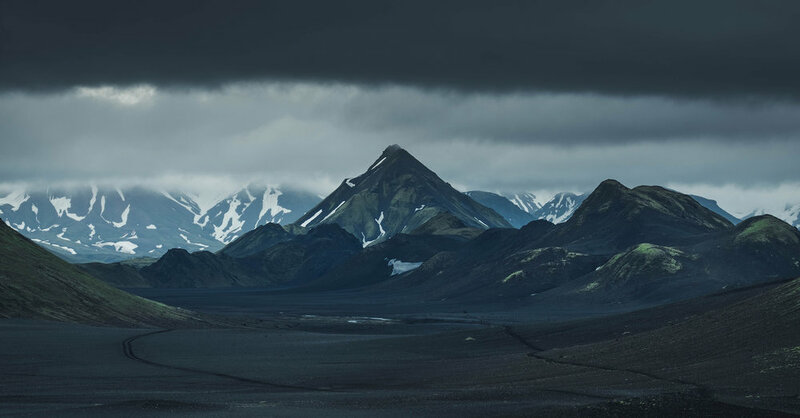 The peaks of Landmannalaugar backlit through a rainstorm. 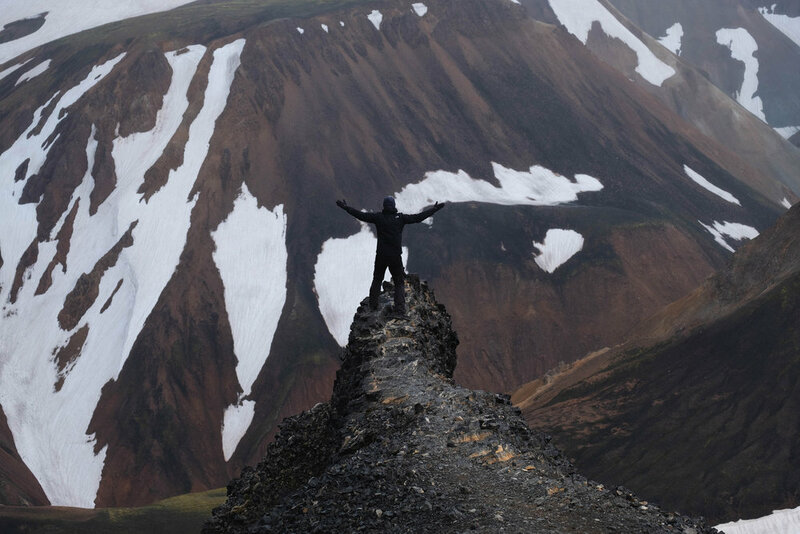 The view from on top of Blajnukur, overlooking the Landmannalaugar valley as rain and mist set in. I'll be returning to Iceland in 2019 to lead another workshop and we'll be visiting the Landmannalaugar along with locations in the south and south east of Iceland. If you'd like to join me take a look at my 2019 Landscape Photography Workshops. Alternatively you can sign up my newsletter for more information about workshops. 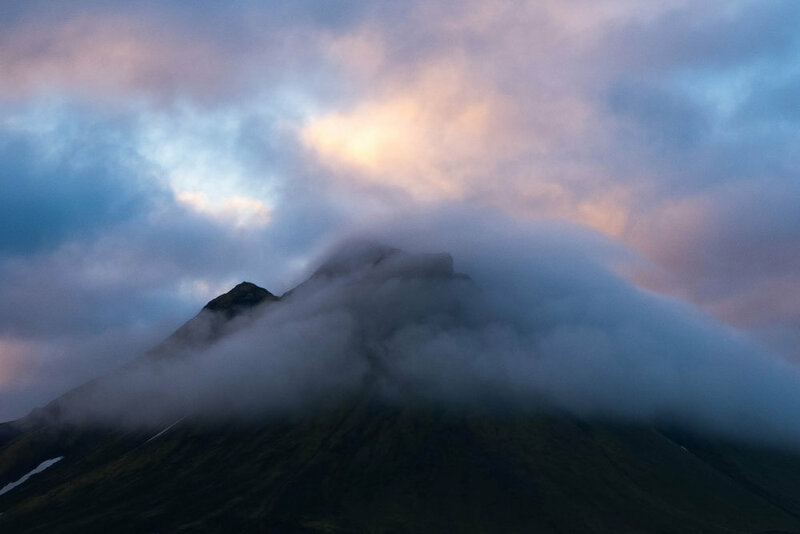 You can see images from all my trips to Iceland in my gallery here.